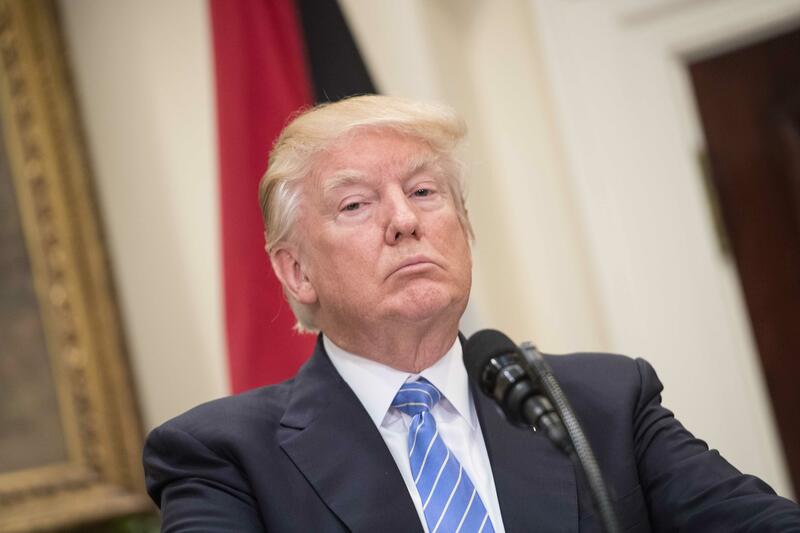 WASHINGTON -- President Donald Trump's lawyers say a review of his last 10 years of tax returns do not reflect "any income of any type from Russian sources," with some exceptions. The lawyers did not release copies of Trump's tax returns so The Associated Press cannot independently verify their conclusions. The letter says there is no equity investment by Russians in entities controlled by Trump or debt owed by Trump to Russian lenders. It does reflect income from the 2013 Miss Universe pageant held in Moscow and a property sold to a Russian billionaire in 2008 for $95 million. The letter President Trump's lawyers sent regarding transactions with Russian counterparties reported on his U.S. federal income tax returns. The White House says Trump asked his lawyers for a letter following a request from Republican Sen. Lindsey Graham of South Carolina, who heads one of the congressional committees investigating Russia's interference in last year's election. Sen. Chris Murphy, D-Connecticut, pointed out on Twitter that the law firm, Morgan Lewis, was named "Russia law firm of the year" last year. Law firm @POTUS used to show he has no ties to Russia was named Russia Law Firm of the Year for their extensive ties to Russia. Unreal. Morgan Lewis posted a press release on its website last May that says "Morgan Lewis has been recognied by Chambers & Partners' 2016 Chambers Europe guide as Russia Law Firm of the Year." In an interview with NBC News' Lester Holt, Mr. Trump was asked if he, his family, his businesses, surrogates have any loans from Russian individuals or institutions. "Yeah in fact I just sent a letter to Lindsey Graham, from one of the most prestigious law firms in the country, tremendous, highly rated law firm, that had nothing to do with Russia," the president said. "I have no investments in Russia, none whatsoever," he continued. "I don't have property in Russia. I built a great company, but I'm not involved with Russia. I have had dealings over the years where I sold a house to a very wealthy Russian many years ago, I had the Miss Universe pageant, which I owned for quite a while, I had it in Moscow long time ago, but other than that I have nothing to do with Russia."